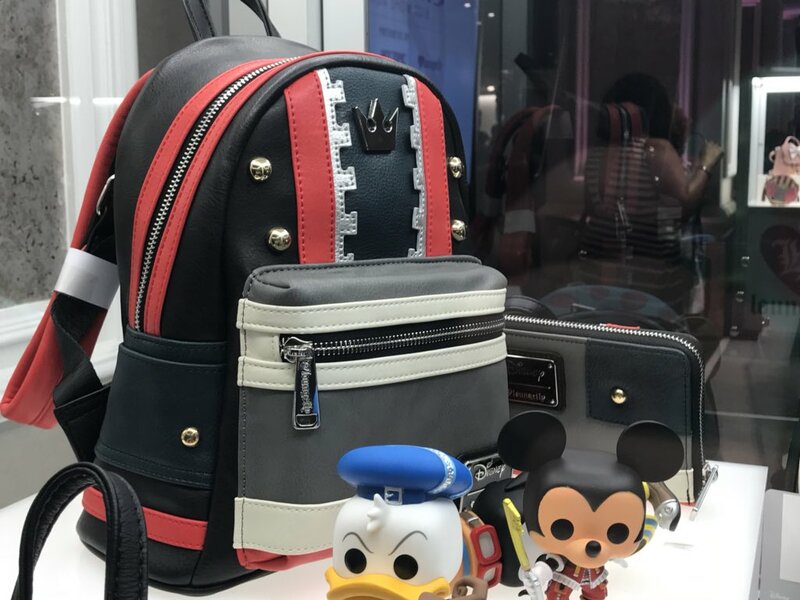 Loungefly, a popular pop culture and lifestyle brand that is dedicated to delivering stylish and high quality apparel based on various licenses, has debuted a new Kingdom Hearts 3 Sora-inspired backpack and wallet at the Her Universe Fashion Show at San Diego Comic Con 2018. While no pricing has been announced for the bag and wallet, Loungefly typically prices their backpacks at around $60 USD and their wallets around $38 USD. RIP wallet, because I want that wallet. I have a small kh2 brand purse like item I gotw way back in April. Bags are my weakness. I might not get the wallet because I like my stylish little pink wallet with RFID protection in it, but man that backpack. I love all of their backpacks but I'm usually able to talk myself out of buying one because $60 is an investment for something I won't use until I retire my current bag. All the designs look really great! I really like the Woody backpack. Woodyâ€™s is so cute! If I was a bigger TS fan, I would certainly drop the money on it. Yeah I'm kinda bummed my backpack is holding up so well lol, cuz I really want one of these they are super cute. I think i'm gonna buy this. I need backpack and this will always sit among my valued possessions. Definitely. I'm usually not that into western or cowboy things, but the design and colors work really well together.